Many of us are expecting so many answers from God. Sometimes they are spiritual answers and other times not spiritual at all. But all in all we are assured that God will answer the questions we ask if we are truly seeking to accomplish his will. If they are life questions, then I am sure that God will answer them too. However, today I am just going to walk you through spiritual answers, since it’s our desire to deepen our faith in God. We are here to feed our souls, and the best way to do that is to look at the appropriate kind of food to eat, the food that will bless our souls and help us grow spiritually. God has the desire for us to learn more about him, than about the things that are in our lives. God wants us to know him more and more each day, and we should make it our desire to know him. So let us take a trip to deepen our faith in Him, as branches, let us remain in the true vine, shall we! In the above Bible verses, Jesus is making a massive promise that when Christians pray in accordance with these verses, they will receive their answer. Their questions will be answered and their hearts filled with Joy. However, our desire should be to seek God’s kingdom first before anything else. For he has promised to answer our prayers when we seek him..
God tells us in Jeremiah 33:3, "Call to Me, and I will answer you, and I will tell you great and mighty things, which you do not know." Daniel prayed the right way. First, he went to the Scriptures and searched out the mind of God. Having gotten clear direction, and sure of God's will, he runs to God's throne with a mighty assurance. 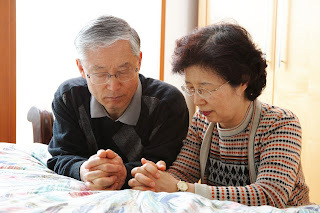 "And I set my face unto the Lord God, to seek by prayer" (Daniel 9:3). God has so much promised through His son Jesus Christ to answer our questions if we ask appropriate spiritual questions. God has welcomed us to ask Him questions that will help us develop a strong bond of relationship with Him. But why aren’t so many Christians out there receiving the answers to the questions they pray for? There are two main reasons why Christians are not receiving answers to their questions. The number one reason is seeking personal desires and asking inappropriate questions. We need to ask God questions that will help us grow love in Him. We should not pray for lustful desires, rather seek God deeply first, then the rest will follow. We need to seek answers that glorify the father through Jesus Christ. This means, we should first seek that His kingdom is manifested in us. The second reason is because Christians fail to understand that Jesus isn't calling His disciples simply to pray: he's calling them to pray in His name. The Power of answered prayer is when we ask in Jesus' name. That's why he says we can pray this way when we are abiding in Him and He is abiding in us. His word is abiding in us. John 14:14 "If you ask Me anything in My name, I will do it." John 15:7 "If you abide in Me, and My words abide in you, ask whatever you wish, and it will be done for you". Praying in Jesus’ name means praying with His authority and asking God the Father to act upon our prayers because we come in the name of His Son, Jesus. Praying in Jesus' name means the same thing as praying according to the will of God. If in any case we are to expect spiritual answers from God, we’ve got to ask appropriate questions that abide with his will. If you are a believer in Jesus Christ, then you know how great spiritual answers can be, especially when you have been praying for a very long time. But let us all bear this in mind; if what we ask God is not appropriate, then we should definitely expect no answers from Him. Asking the right questions will bring you to the answer that will place an everlasting peace in your heart and everlasting joy in your life. The above are just the few types of questions you should always seek answers for. If you are seeking for such answers, then God will direct you straight to the right answer that will give you great joy. Always asking the right questions will lead you to receiving the right answers. As you seek the answers to your spiritual questions I want you to practice toward answered prayers. Pray specifically: Prayer needs to be specific if we are to know it has been answered. Too often we pray vague prayers that cannot be known to be answered or unanswered. This reveals that we don't expect them to be answered. Pray with faith and perseverance: We need not only to persevere in prayer, but do it with faith. After a while we can lift prayers up out of duty but with no expectation that they will be answered. Jesus said that we are to persevere, which means we are to expect that perseverance is sometimes needed and should not discourage us to give up. Scripture commands that we are to "ask in faith" (James 1:6). Pray with expectations and be prepared with the answer that God gives you: if we expect company to come over - prepare for company. If we expect a storm, prepare for a storm. We prepare for what we expect. Preparation reveals expectation. For today let us end here. I hope this post will help you in your walk with Christ Jesus. I encourage you to seek spiritual answers by asking spiritual questions and putting God first in your prayers. May the loving father reveal to you all the spiritual answers you have been searching for.